The Yorkie is a small little dog with a huge personality. Yorkshire Terrier makes a great companion and is one of the most famous toy breeds. A true terrier by his personality, a Yorkie may be feisty but is a loving companion to his owner. Known to be glamorous for having a lush, silky coat, Yorkies attract a lot of attention wherever he goes. And I bet, he loves it! Yorkshire Terrier is a huge dog in a small body. His terrific personality makes up for his small size. A Yorkie loves attention and can get snappish if they don’t get the desired. These small dogs may think themselves as big and may easily pick up fights with other dogs. It is therefore important to keep a Yorkie under control. They are little dogs with their coat in grey, tan and black colors. Their coat is given a great importance. It should be glossy and fine. The hair should be straight and all grown out. However, a Yorkie can have a different colored and textured coat. 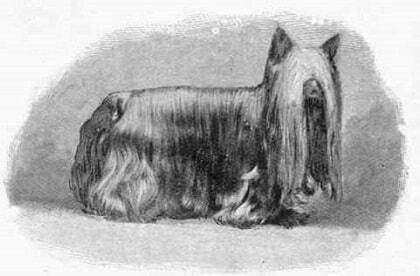 The breed is known to be brought to England by Scottish workers in the 19th century. They were, in those times used to catch rats in the mills. Yorkshire Terriers were originally mixes of different terriers. They began to be bred in a smaller size and soon enough was popularized for its majestic looks and silky hair. Yorkshire Terriers were soon recognized as lap dogs. Their duty thereafter was to sit and act as fashionable lapdogs for the English ladies. They were a sign of luxury for the Englishwomen. Though small, the Yorkie is filled with high spirits. He is active and self-assured. Yorkshire Terriers are full of energy and very active all the time. They love attention and are overprotective. It is important to keep your dog busy as he loves entertaining and pleasing their owners. They may turn stubborn at times as well. Yorkies are independent dogs and are very intelligent. Yorkshire Terriers can be mischievous and up to some new adventure all the time. It is important to teach your Yorkie the correct limits. Resist the urge to spoil your little pooch. If spoilt, the consequences would be hard on you. It is important to start training them as puppies. The correct behavior is very important. Socializing your dog to different people, places, and experiences since a young age will be helpful in inculcating a friendly behavior in him. Yorkies require good physical exercise to keep fit. It is important to engage your dog in some activity that keeps him mentally and physically fit. A Yorkie would love a short walk and a little playtime. They are playful dogs and it is important to keep them involved. Being active dogs, Yorkies should get their share of moderate exercise every day. Yorkshire Terrier is a high energy dog and requires a diet which would fulfill his energy needs. It is also important to feed him a well-balanced diet which includes all the essential nutrients. The major calories to a Yorkie’s diet should come from proteins. The omega fatty acids which are found in fish have been found helpful in keeping a Yorkie’s coat shiny and soft. It is important to understand what suits your dog’s stomach and what doesn’t. Every dog’s diet need is special and a Yorkie is prone to stomach issues, so it’s important to check with him before starting a new diet. Keeping in mind a Yorkshire Terrier’s behavior, it is important to train him since a young age. Socializing your dog to various situations, other dogs and cats and different people may prove helpful. A Yorkie is a very intelligent dog and picks up training rather easily. They love their owners and would love to learn new tricks to impress them. Make sure to use only positive methods while training and don’t forget him to appreciate him with treats when he does well. Yorkies come with a handful of health problems which are common to the breed. Luxating patella, also known as a trick knee is the dislocation of the kneecap. However, you can avoid this by checking the physical activity of your dog and limiting his jumping height. This should majorly be a concern in puppies. You need to keep a regular check on his dental health as Yorkies are prone to dental issues as well. Yorkies are apartment friendly and do well in all kinds of houses. They are great for families. However, it might not be a very good idea to keep a Yorkie if you have young children. Yorkies get along well with any other pets too. They demand attention and do not like being left alone for long. Moreover, Yorkshire Terriers get along well with families having older children. They make great pets and love their owners a little too much! Know more about such breeds in our Comprehensive Dog Breed Guide!